We love the Capsule skirt in our house! 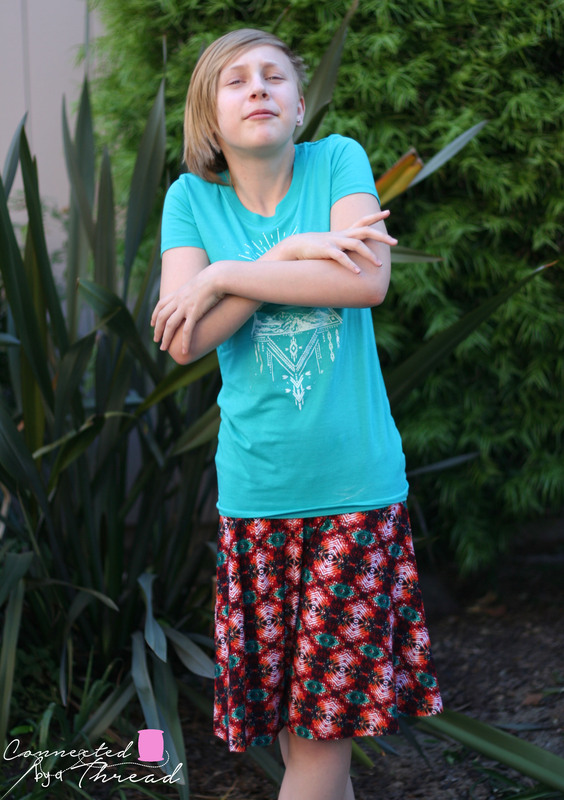 We made a few when the pattern first came out, but as kids do, she has outgrown them! A blog tour was the perfect excuse to make another! 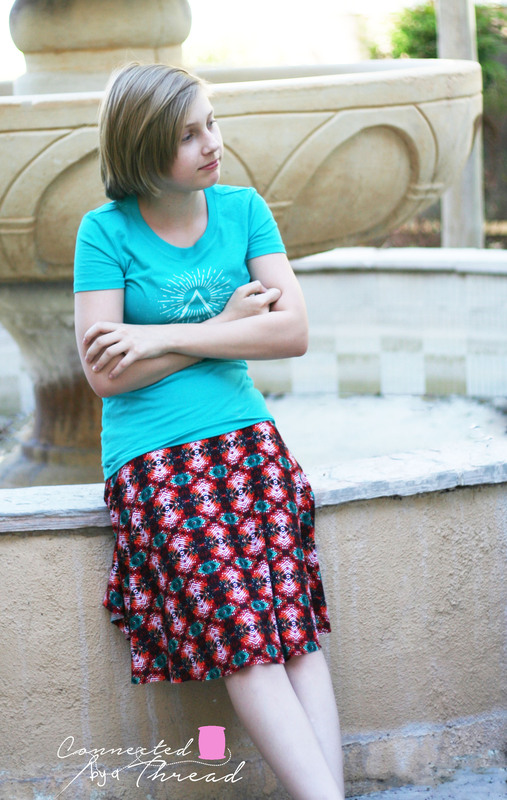 I let the teenager chose the fabric for this one, and as teenagers do, she went bold and bright! She loves her new skirt! 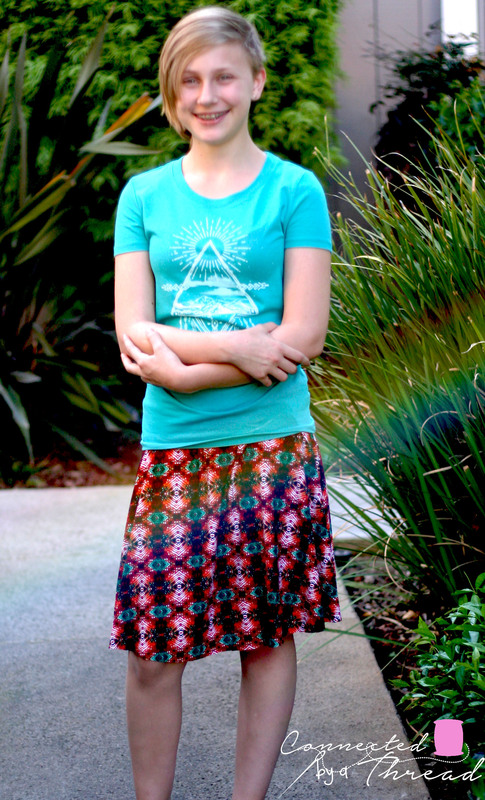 A classic, comfortable, and practical knit skirt. This will become a staple in your kiddos wardobe! We had fun taking the pictures for this…until she realized there were bees in the tree next to her..then I got this for every picture…. yeah, pictures outside during spring are always fun with this bee fearing child! 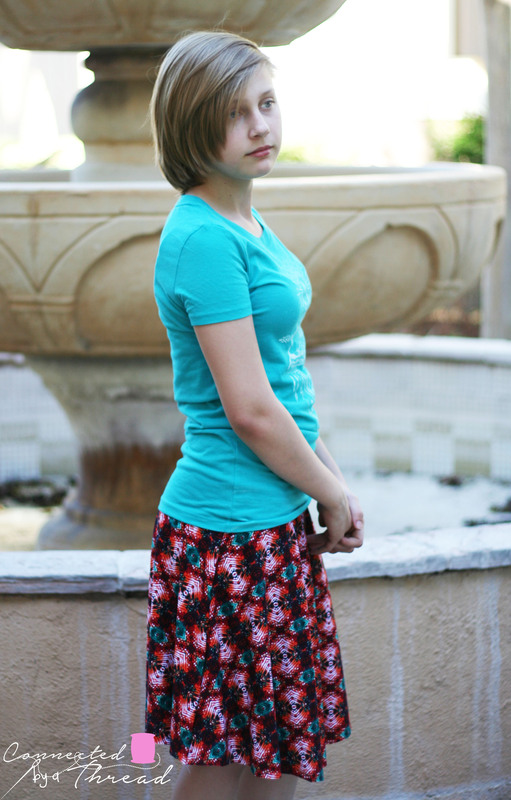 I know we will have a few more of these made up for this summer, especially since she can sew them herself! 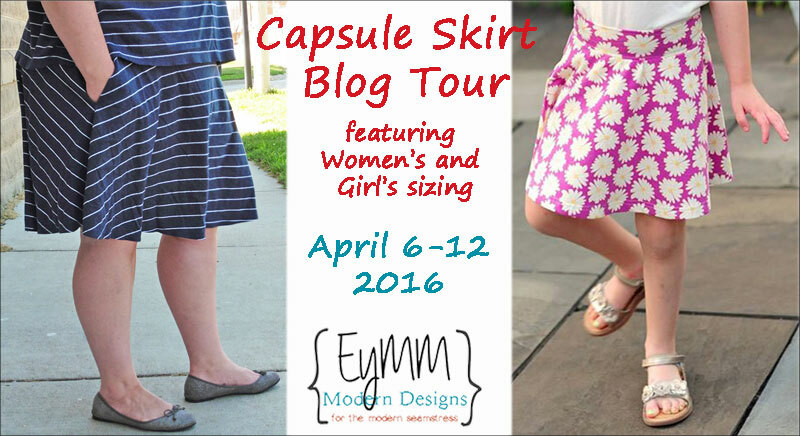 Make sure to check out all the other stops on the EYMM Capsule Skirt Tour. Don’t forget to pick up your copy of the pattern while it’s on sale! 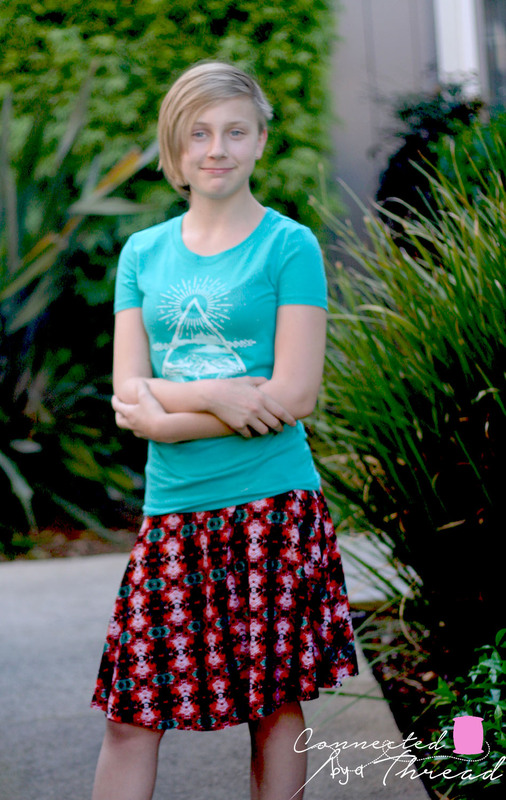 Use coupon code PERFECTSKIRT to save 25% on the Women’s Capsule Skirt, Girl’s Capsule Skirt, or Capsule Skirt Bundle until April 12 at 11:59pm PST. AWESOME! Love it! And Jody and those bees! haha! (now i’m gonna go “buzz buzz” next time I see her!